Gary Blackard, the new President and CEO of Adult & Teen Challenge, welcomed 44 new directors to Springfield, Missouri the week of March 17th for four days of in-depth training. There were 10 different Key Areas of Responsibility (KAR) including: Personal Formation, Vision, Fiscal Stewardship, Organizational Development, Communications, Human Resources, Social Enterprise, Fundraising, Outreach, and Program. Dan Prater from BKD, Matt Huffman from Evangel University, Michael Buttacy Ozarks Teen Challenge, Jack Smart from Rural Compassion, and Jim & Vicky Gross of Creative Evangelism joined the Adult & Teen Challenge staff in presenting sessions for the various KARs. After a busy week, the participants were eager to return to their centers to start implementing the new ideas on a variety of subjects from budgeting to the curriculum the students are using. There were people from different walks of life. There were couples that have pastored churches but are now wanting to begin a new ministry to help the addicted find freedom through Christ. There were individuals with medical backgrounds, teaching backgrounds and graduates from the program. All are passionate about sharing God’s love with hurting people. With more than 200 residential centers within the US, Adult & Teen Challenge USA (ATCUSA) is a faith-based non-profit headquartered in Ozark, Missouri. Its mission is to provide teens & adults freedom from addiction and other life-controlling issues through Christ-centered solutions. 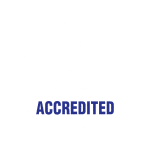 Through effective discipleship, mentoring and life-skills training, ATCUSA and its affiliates have seen positive outcomes and radical life-transformation throughout its sixty-year history.